Sorry folks, but the “Saab” name will not be making a comeback to the automotive industry. Yes, the popular car company was bought over by National Electric Vehicle Sweden (NEVS), but a report by Automotive News Europe has reaffirmed that the iconic brand and logo will not feature on any future models by NEVS. While NEVS may have acquired the auto company and its facilities in 2012, Saab AB, the aerospace company that owns the brand, said that it will not allow its name or logo to be used on future NEVS models. “We have revoked their right to use the brand name, and there is no longer a discussion about NEVS using it,” said Saab AB spokesperson, Sebastian Carlsson. 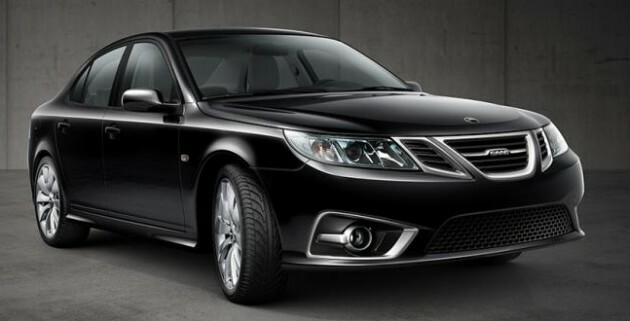 As reported, Saab AB blocked NEVS from using the Saab name several years ago, along with its griffin badge. Confusion arose when NEVS released pictures of its future 9-3 electric vehicle which featured the Saab name and a modified Saab logo. NEVS will reportedly produce electric vehicles, all based on the 9-3 sedans, for the Chinese market. NEVS has recently penned two deals with Chinese companies – one with China Volant Industry Co. (Volinco) worth USD$1 billion and another with China’s Panda New Energy, worth USD$12 billion. The funds NEVS will raise here will aid its own pursuit to develop four new models of its own. Mana boleh. SAAB stands for Svenska Aeroplan AktieBolaget. Maknanya the “Swedish Airplane Company.”. Now if China owns it then must rename China Industrious People Airplane Production company or in short….. It shud be China Industrious Bolshevik Automobile Industries or CH-I-B-A-I for short. All hail to the man.. Best comment ever!